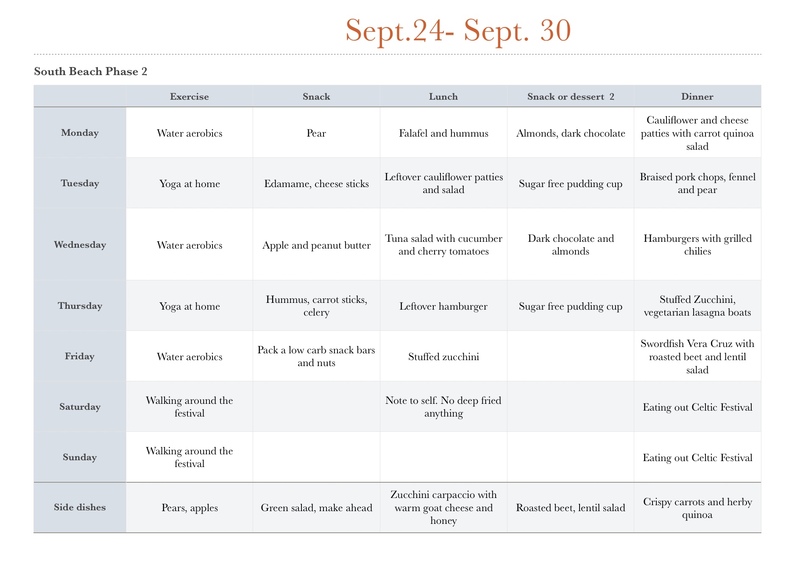 South Beach Diet Menu, Phase 2 – What's for dinner, Doc? Summer is winding down. I love the fall in No. Nevada. The evenings are cool but the daytime temperatures are in the 70-80’s. The weather is almost perfect. I’ve started packing for our trip south to Baja. It’s a little game I like to play, “How much stuff can I stuff in the SUV, that isn’t really necessary but ……I want it!” I have a funny set of priorities. It is easier to follow a low carb diet in Baja. There are far fewer snacks that I crave. I have to make my snacks so I usually don’t have them conveniently lying around. Here’s this week’s proposed menu. I’m traveling to a Celtic Festival for two days so that will be a challenge. Pan sear 4 lean pork chops in avocado oil until nicely browned. Remove pork chops to a plate. Deglaze pan with 1 cup low sodium broth, I used chicken broth. Add 1 sliced fennel bulb, reserving the fronds for later, and 2 pears quartered. Simmer on medium heat until fennel and pears are crisp tender about 10 minutes. Return pork chops to pan and continue to simmer until pork is cooked, about 10 additional minutes. Remove pork, fennel and pears to a serving platter and finish sauce with 1 tablespoon of butter. Spoon sauce over pork and serve. Adjust all ingredients as needed for more portions. I’m serving mine with kim chi and roasted carrot and quinoa salad. Swordfish Vera Cruz: This looks delicious and will be great made with traditional Mexican red snapper. I’m sending my fisherman out on the water as soon as we get home to Baja to fill my freezer with fresh snapper and yellow fin.